Santa Anita Park is suspending racing after reports 21 horses died since December 26th. The Park hired consultants to examine the conditions of the track and will report when they feel the track can open again. 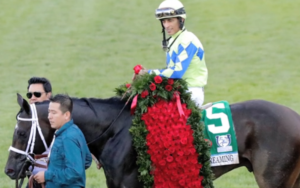 The San Felipe Handicap, a preparatory race for qualifying for the Kentucky Derby, was scheduled for this weekend. After a much-anticipated matchup (with the battle raging for 4 straight years), the Golden State Warriors handily swept the Cleveland Cavaliers in 4 games to win the NBA Championship. 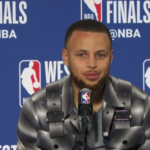 Steph Curry posted 37 points and Kevin Durant followed up his game three 43 points with his first triple-double in an NBA Finals (20 points, 12 rebounds and 10 assists). Durant’s solid performance throughout the Finals earned him the series MVP. 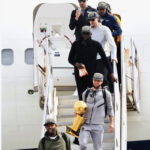 The Championship is Golden State’s third title in 4 years and places them in the history books as one of only six teams winning three titles in four years. The Lakers were the last team to accomplish this feat in the years 2000-20002. In the off-season, expect many stories on whether LeBron James will stay with the Cavs or move on to continue his career elsewhere. Justify held off some tough competition on another sloppy track to win the Preakness Stakes and capture the second leg of the Triple Crown. On June 9th at Belmont, Justify, trained by Bob Baffert, will attempt to become only the 13th horse in history to win the Triple Crown. At a distance of 1/2 mile, the Belmont is the longest of the 3 races and can prove challenging for a horse having raced hard the last 5 weeks. American Pharoah (also trained by Bob Baffert) won the Triple Crown in 2015, but before Pharoah, the last Triple Crown winner was in 1978. The expansion Vegas Golden Knights advance to the Stanley Cup Finals with a 4-1 series win over the Winnipeg Jets. The Knights are only the second expansion team from either the NHL, NBA, MLB, and NFL to reach a championship in an inaugural season. The Knights will play the winner of the Tampa Bay Lightning/Washington Capitals series. The Lightning are up 3-2 with game 6 on Monday. The Cleveland Cavaliers were outplayed by the Boston Celtics in the first 2 games of the Eastern Conference finals but regrouped for game 3, came out with a 19 point first quarter lead and never looked back. LeBron helped the Cavs blow out the Celtics with 27 points and 12 assists, while Kevin Love added 14 rebounds. Cavaliers 116, Celtics 86. In the Western Conference finals, Steph Curry exploded with 35-points and 7-7 FG’s in the 3rd quarter to propel the Warriors to a 2-1 series lead over the Houston Rockets. With Curry on fire and the hometown crowd going crazy, Curry uncharacteristically shouted out “This is my f—ing house!” after a successful drive. Even though the crowd loved his enthusiasm, his mom scolded him after the game. According to Curry, “She already sent me two home videos, showing me the clip and playing it back. She was telling me how I need to wash my mouth out, saying to wash it out with soap. It’s a message I’ve heard before.” He went on to say, “She’s right. I gotta do better. I can’t talk like that.” Warriors 126, Rockets 85. Justify, the Kentucky Derby winner, will compete in the second leg of the Triple Crown, the Preakness Stakes on Saturday. 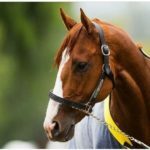 Justify drew the #7 post position in a field of 8 horses (as compared to the Derby where there were 20 horses). Justify is the clear fan favorite with Good Magic, the runner up in the Derby, coming in at 3-1 odds. Justify is trained by Bob Buffert who has won the Triple Crown with 4 of his horses including the most recent Triple Crown winner, American Pharoah in 2015. Expected post time is 6:20 pm on Saturday. San Francisco 49er’s linebacker Reuben Foster has been in the news quite a bit lately for alleged domestic abuse charges brought about by his ex-girlfriend, Elissa Ennis. Ennis has now come clean and admitted she “lied a lot” and none of the charges are true. She said she was upset with Foster for breaking up with her and wanted to ruin his career. She even admitted to lying about another domestic abuse charge against a former boyfriend back in 2011. 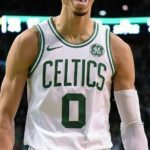 After the 76ers lost on Saturday night in overtime 98-101, the Boston Celtics have a commanding 3-0 lead. Philadelphia’s Joel Embiid said, “We made a couple of dumb mistakes. It’s on us”. The Sixers will try and prevent a series sweep with game 4 on Monday night. LeBron is unstoppable! With a last second buzzer beater in game 3 (you need to see it to believe it) over Toronto, the Raptors are now down 0-3 in the series and will need to claw their way back on Monday night in game 4. James described the difficult one-handed shot by saying he has the “ability to have different things in my toolbox.” Cavaliers 105, Raptors 103. The Warriors dominant win over the New Orleans Pelicans, thanks to Kevin Durant’s 38 points, could be due to a late night/early morning text from Draymond Green. Green was so upset by the Warriors loss to the Pelicans in game 3, he sent a text at 4:00 am to Durant telling him he had to step up. When Durant woke up, he said, “Got it” and went out and played with inspiration. Steph Curry also had a big day and moved into third place in postseason 3 pointers with 326. Ray Allen holds the record with 385 and LeBron is in 2nd place with 346. Golden State leads the series 3-1. Chris Paul knows how to celebrate his birthday as he went out and scored 27 points and recorded 12 rebounds to help the Rockets win game 4 over the Utah Jazz. The Rockets are now up 3-1 in the series. Houston 100, Utah 87. 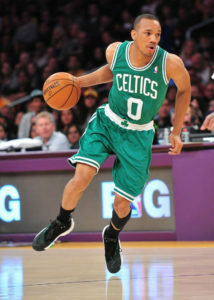 The Boston Celtics rallied from a 22 point deficit to defeat the Philadelphia 76ers on Thursday night. Celtics’ Jayson Tatum and Terry Rozier added 21 and 20 points respectively, while the Sixers J.J. Redick and Joel Embiid contributed 23 and 22 points to their team’s efforts. Unfortunately for Philly, their rookie phenom Ben Simmons only scored one point (the first time he hasn’t scored a field goal this entire season). After the game Simmons reflected on his disappointing night saying, “Mentally, just thinking too much. I’m going to have bad games. It happens. Obviously, it’s bad timing.” Celtics are now up 2-0 with game 3 back in Philly on Saturday night. With an astounding 43 points, 14 assists and 8 rebounds from LeBron James and a big 31 points from Kevin Love, the Cleveland Cavaliers took a commanding 2-0 series lead over the Toronto Raptors. The Kentucky Derby, often called the greatest two minutes in sports, takes place on Saturday at 6:46 pm ET. The two favorites for Saturday’s Run for the Roses, are Justify and Mendelssohn (both sired byScat Daddy, but for equines, they’re not considered related as they have different Dam’s (Mothers). For a recap of the 20 horses running, click here. The Pittsburgh Penguins won the coveted Stanley Cup by beating the Nashville Predators in 6 games (4-2). With the win, the Penguins become the first team to repeat as Champions since the 1997 Detroit Red Wings. 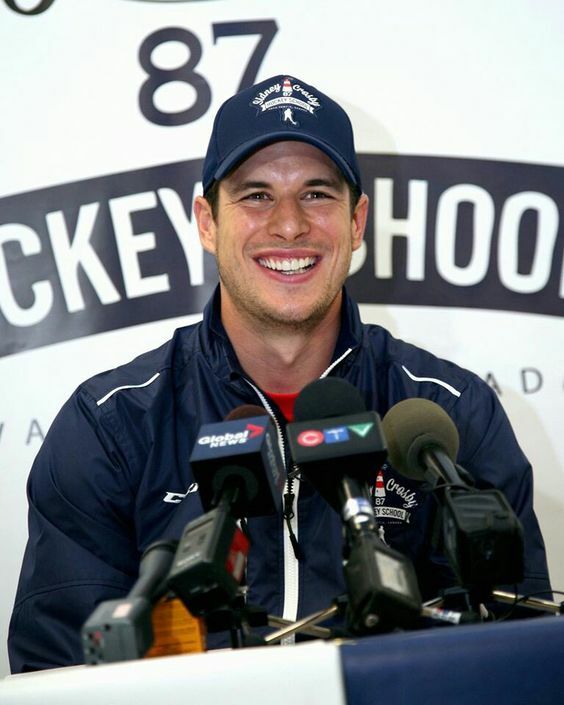 Future Hall of Famer, Sidney Crosby won the Conn Smythe (most valuable player) award and is only the third player in NHL history to win the trophy in back to back seasons. The first four finishers of the Belmont Stakes all ran in the Kentucky Derby, but skipped the second leg of the Triple Crown (the Preaknes) then came back for a strong showing in the Belmont on Saturday. Tapwrit (who finished 6th in the Derby) edged out Irish War Cry to win the 1 1/2 mile race. Cleveland Cavaliers have been cruising through the playoffs with a 13 game wining streak. The Cavs looked like they would sail through game 3 as well. 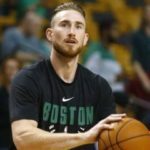 They were up 21 points Sunday night against the Boston Celtics, who were without star Isaiah Thomas, but they let down their guard too soon, and the Celtics fought back. At the last second, the Celtics’ Avery Bradley shot a 3 pointer to seal the win and stun the Cavs. Game 4 is Tuesday night in Cleveland. Celtics 111, Cavaliers 108. In the Western Conference finals, the Golden State Warriors are up 3-0 against the San Antonio Spurs and look unstoppable. Unfortunately for the Spurs, the series could have been more competitive if their team was at full strength. Playing without an injured Tony Parker and Kawhi Leonard, the Spurs chances at a comeback look pretty bleak. Game 4 is Monday night 9:00 pm EST. Spurs Coach Gregg Popovich created some drama when he accused the Warriors’ Zaza Pachulia of purposely tripping Kawhi (who is listed as questionable for game 4). Zaza said he is fine with the negative attention, but the threats against him on social media have gotten so bad, he had to hire extra security at his children’s school. 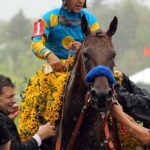 There will be no Triple Crown winner this year as Cloud Computing beat out Derby winner Always Dreaming in the Preakness Stakes over the weekend. “Always Dreaming” ran away with the Kentucky Derby Saturday night. The “Run for the Roses” took place on a muddy track where many horses were having bad trips. Always Dreaming, trained by Todd Fletcher and ridden by John Valazquez, looked solid coming out of the gate and rode to a 2 3/4 length victory. Fletcher is used to winning, but has had problems at the Derby in the past. He previously had won only one 1 Derby in 45 starts. Always Dreaming will now rest up and be back on the track in 2 weeks for the second leg of the Triple Crown, the Preakness Stakes on May 20th. The Cleveland Cavaliers swept the second round of the Eastern Conference semi-final against the Toronto Raptors. The Cavs have now won 8 games in a row in the post-season and will have a week off before facing an opponent in the Eastern conference final. LeBron James proved once again he’s one of the greatest recording 6 straight games with 30 or more points in a playoff game. Cleveland 109, Toronto 102. In other playoff news, with the Boston Celtics loss on Sunday, the Washington Wizards tied the series at 2-2. James Harden came out strong with 28 points to help his Rockets even the series with the San Antonio Spurs at 2-2. The Golden State Warriors are up 3-0 against the Utah Jazz and will play game four tonight. The New York Knicks Kristaps Porzingis sent out a confusing tweet over the weekend with just the words, “LA Clippers and three smiley face emoji’s”, suggesting his interest in being traded. Many, including myself, were shocked he’d be so bold in showing his interest in another team. According to Porzingis, however, his account was hacked and he never intended to send this type of tweet. The Golden State Warriors stole a game 4 in Cleveland on Friday night to lead the best of seven series 3-1. Game 5 is back in California Monday night. If the Cavaliers lose, the series is over and the Warriors will have won back to back NBA Championships. Unfortunately for the Warriors, one of their best players, Draymond Green is suspended for Monday night’s game for a flagrant foul he committed during the last few minutes of game 4. The foul against LeBron James was called a, “retaliatory swipe of his hand to the groin”. According to the NBA, Draymond wouldn’t have been suspended for game 5 just for this foul alone but with the number of flagrant fouls his committed through the postseason, this penalty was appropriate. Many in the sports world think the penalty is excessive and could affect the rest of the series. Must watch game, Monday 9:00 pm EST ABC. With a win over the San Jose Sharks, the Pittsburgh Penguins took home the Stanley Cup for the 4th time in franchise history. The Penguins beat the Sharks 4-2 in the best of seven Finals. The Penguins’ Captain Sidney Crosby took home the MVP honors, the Conn Smythe trophy, and according to his coaches and teammates, there was no one more deserving. In the 3rd leg of the Triple Crown series, the Belmont Stakes, Creator won by a photo finish, just edging out Destin. Creator finished 13th in the Kentucky Derby and didn’t even compete in the Preakness. The Preakness winner, Exaggerator, went off as the favorite but only finished in 11th place. There was considerably less hype for the Belmont Stakes this year as there wasn’t a Triple Crown Contender like American Pharoah who caught the racing world by storm when he won all three races last year.